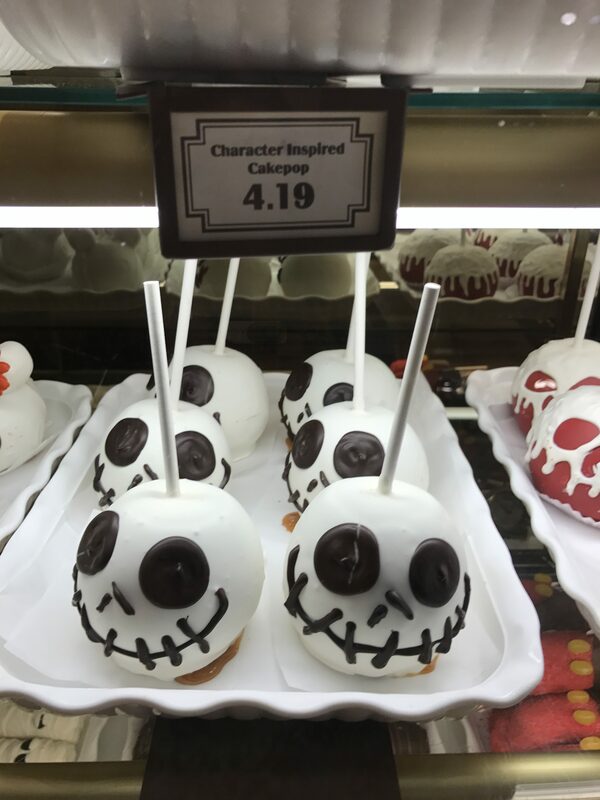 Now that it’s autumn, Disney has decorated their parks with happy haunting decor, selling devilishly divine treats to enhance their guests’ experiences. 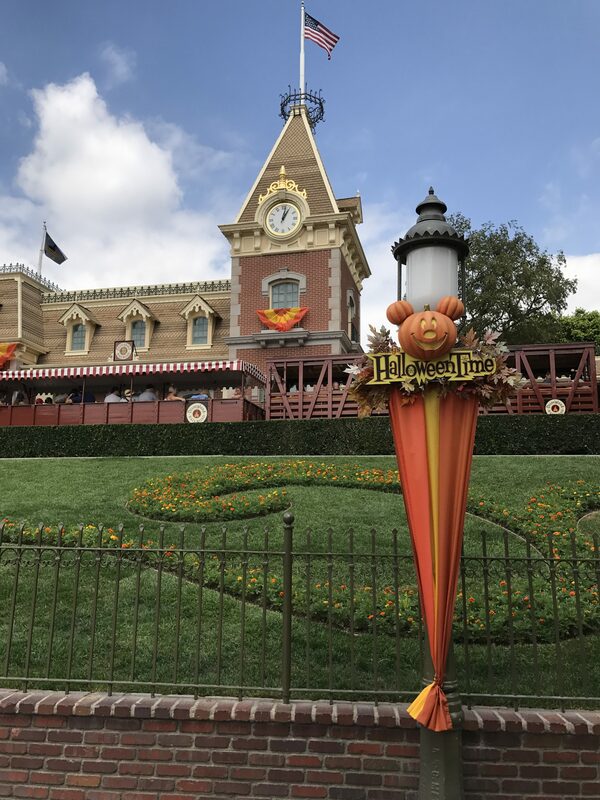 Get your Park Hopper ticket to experience All Hallows’ Eve Celebration at both Disney theme parks in Southern California: Disneyland and Disney’s California Adventure until Oct. 31, 2017. 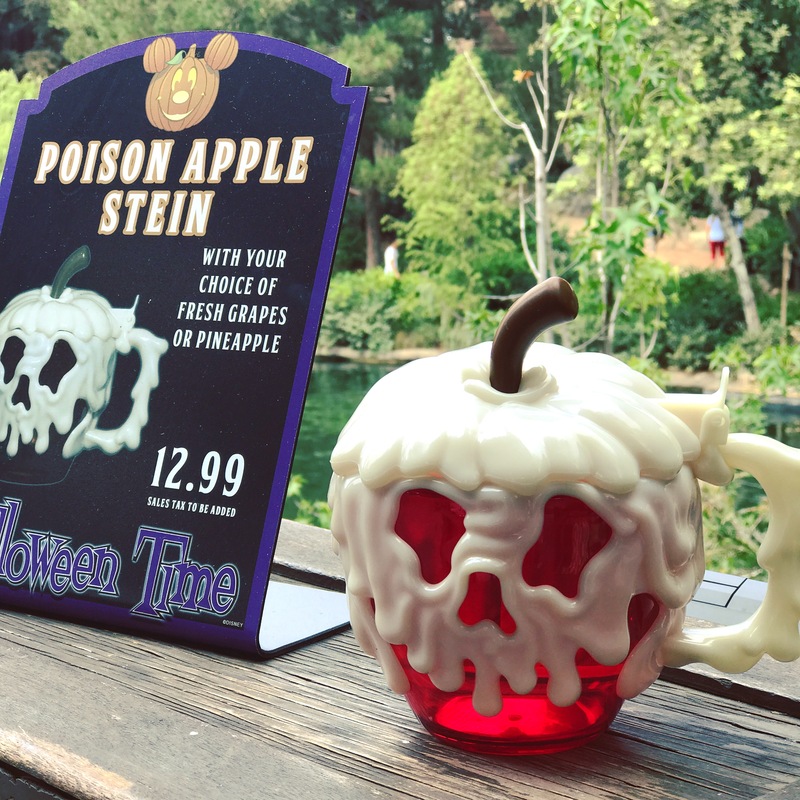 Throughout both parks guests can purchase a souvenir Poison Apple stein drink with a choice of fresh grapes or pineapple. Visit the Elysian Arcade Inside California Adventure for spooky fun Disney character-inspired cake pops, dipped apples, crispy rice crispy treats or cupcakes. 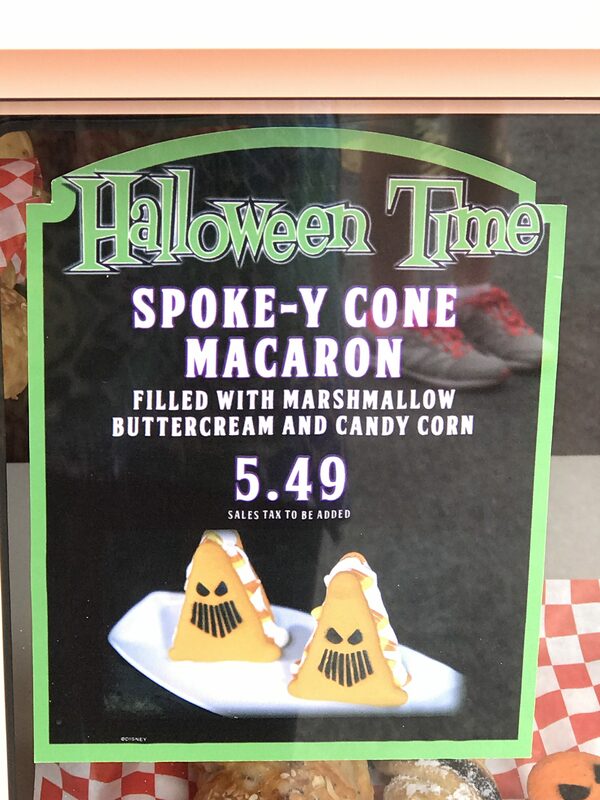 Head over to Cars Land andvisit Cozy Cone Motel for some unique flavored popcorn, frozen beverages, soft-serve ice cream and treats that include a Spoke-Y Cone Macaron filled with marshmallow buttercream and candy corn. It’s orange with a spooky face and yellow, orange and white candy corns peeking out. At the Churro window, you’ll find pumpkin-spice churros, as well as Traffic Cone Sippers to hold your favorite fountain beverage. The bright orange plastic Cone Sippers (with a straw) come in 16-ounce and 32-ounce sizes. Popcorn has been elevated with a Halloween Time Junkyard JamBOOree mix. Guests have a choice of ordering Butter popcorn of popcorn flavored with Buffalo Ranch, Garlic, Parmesan, Sriracha, Pizza, Dill Pickle or White Cheddar. Select add-ons include green M & M’s, Candy Corn, Chocolate covered pretzels, Boston Baked Beans and Ghost Quins (sprinkles). 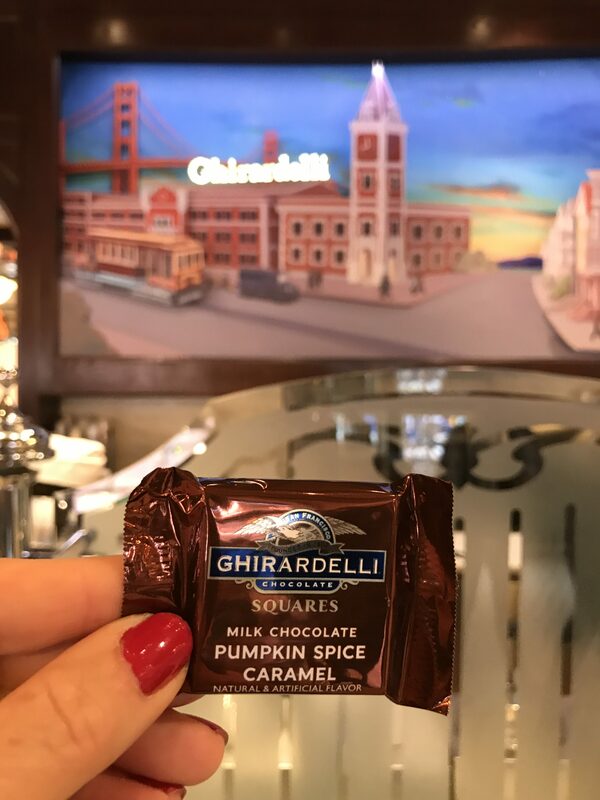 Walk into Ghirardelli in the Pacific Wharf area and receive a complimentary Ghirardelli chocolate square made with milk chocolate and filled with a pumpkin spice caramel. It’s delicious. Paradise Pier Ice Cream Company is offering Orange and Vanilla Swirl soft-serve in regular and large sizes. Most of the food carts offer a light green Oogie-Boogie fountain drink souvenir plastic holder. 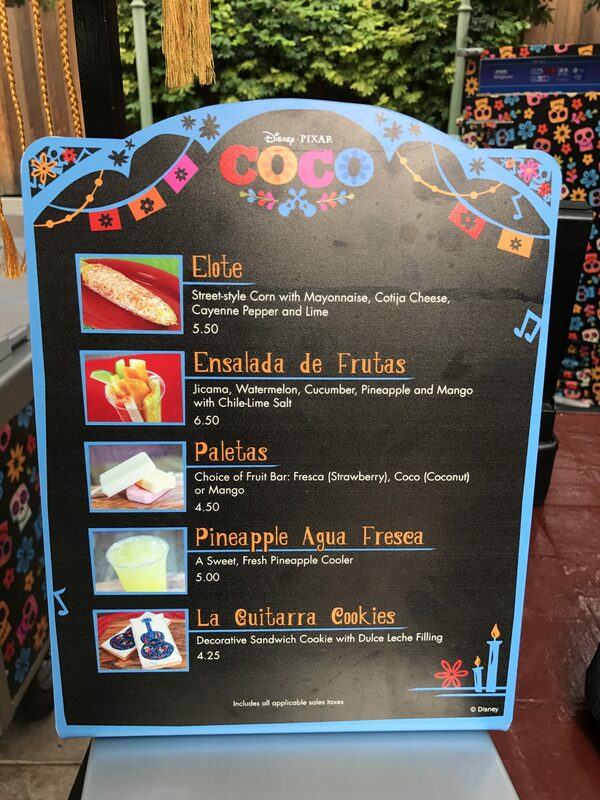 New at California Adventure’s Plaza de la Familia is a festively decorated area to celebrate Disney Pixar’s newest movie, Coco. Nearby are some delicious Mexican snacks, including a colorful decorative La Guitarra Cookie filled with dulce leche. Plaza de la Familia is decorated for Dia de Muertos and features a festive exhibit of the movie Coco. 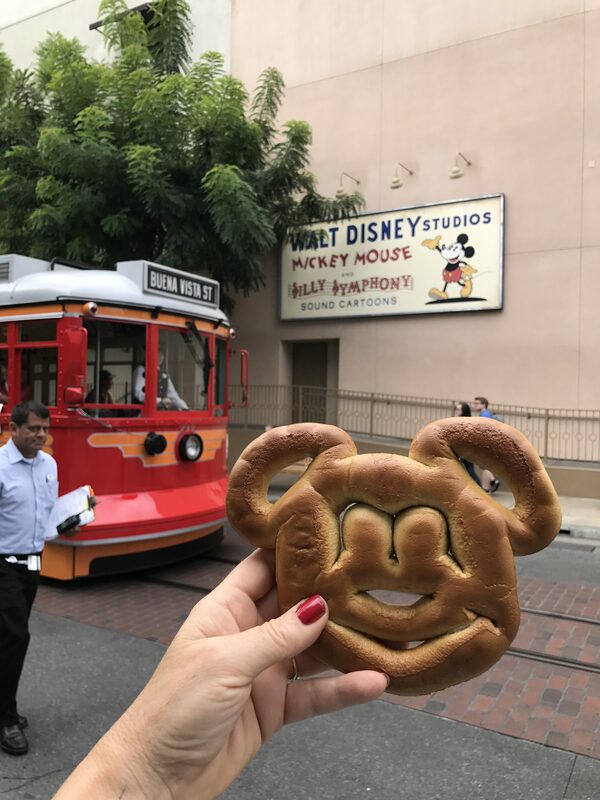 Even though the Mickey Mouse pretzel is not decorated for Halloween, it’s a fun treat while exploring Hollywood Land or before seeing the new musical Frozen-Live at the Hyperion. Disneyland is decorated with thousands of pumpkins and Jack O’Lanterns. 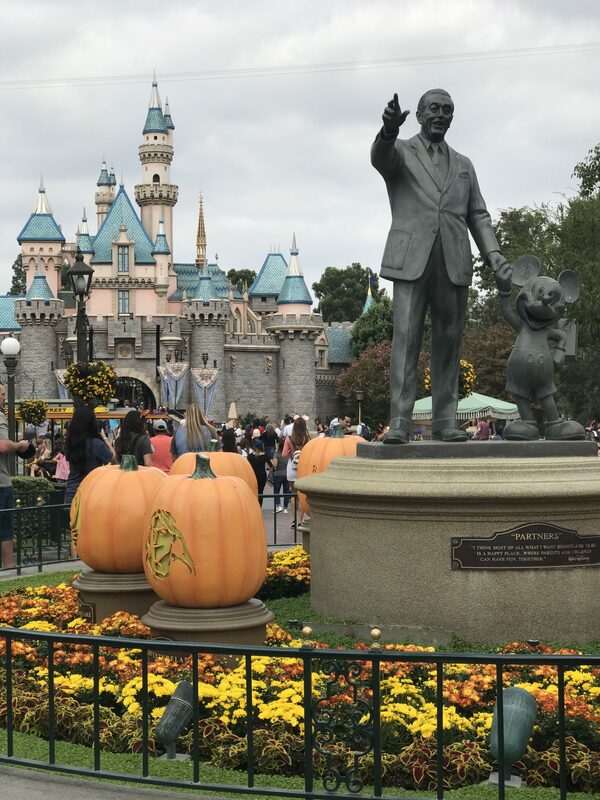 Head over to the Walt Disney and Mickey Mouse statue near Sleeping Beauty’s Castle to see your favorite Disney characters’ faces carved into Jack O’lanterns. 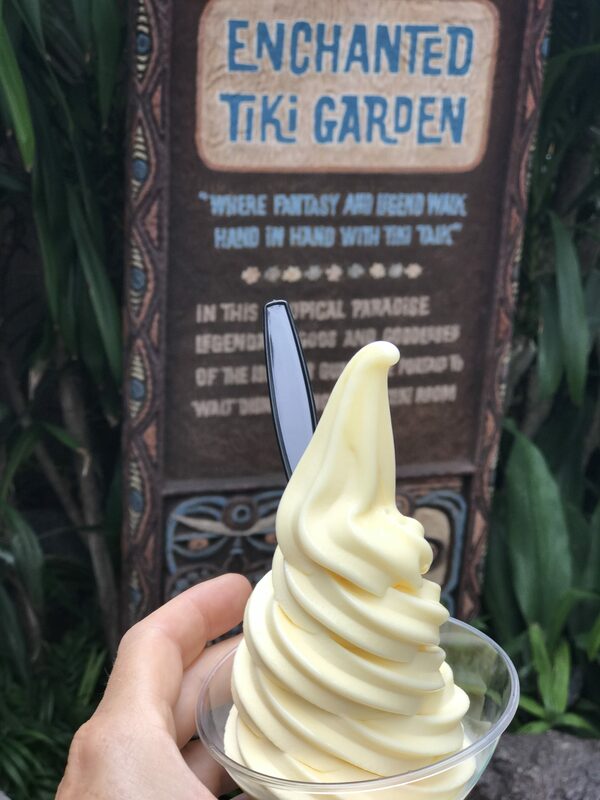 Inside nearby Adventureland, treat yourself to a Dole Whip at the Tiki Juice Bar next to the Enchanted Tiki Garden. Over at New Orleans Square, they are selling Mint Juleps with Dreamsicle Beignets. Order a three- or six-pack of piping hot beignets sprinkled with sugar. 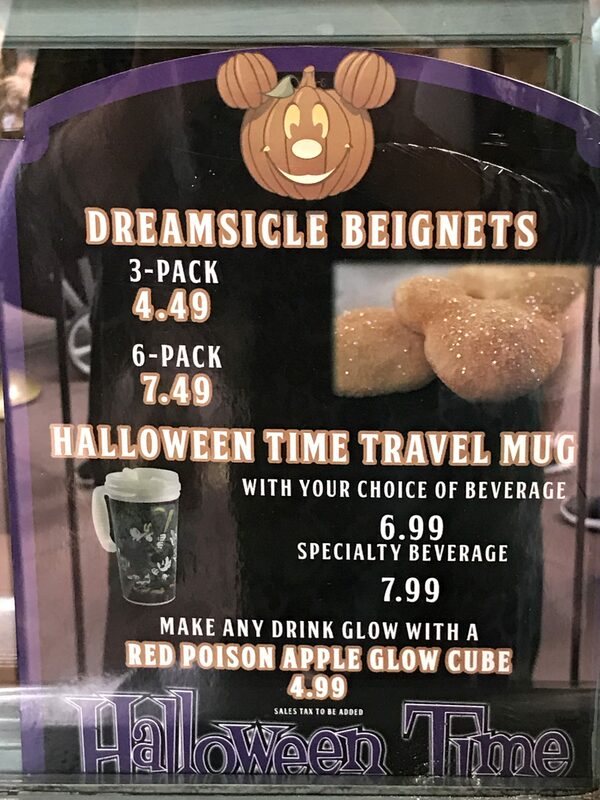 You can also purchase a Halloween Time Travel Mug to fill with your choice of beverage. Every visit to Disneyland is memorable, however, during Halloween Time, it’s extra magical.